China's Thousand Talents Plan aims to lure the world's brightest minds - mainly researchers educated or employed overseas, and particularly in hi-tech areas. For communications engineering professor Alan Liu, going to America for work is no longer an option. Liu returned to China seven years ago after a stint as a visiting scholar at the University of Colorado Boulder's electrical, computer and energy engineering department. "I haven't been back to the United States since then … and I don't want to go back because it's becoming increasingly troublesome," said Liu, who is now a doctoral supervisor at a prestigious Chinese university. He said the door appeared to be closing for Chinese academics in America. "The visa for the US is hard to get - fewer US universities are willing to accept Chinese visiting scholars, and US professors are reluctant to invite Chinese since it may trigger an investigation." The academic is one of many Chinese to benefit from the Thousand Talents Plan, a state-sponsored scheme set up in 2008 to lure the world's brightest minds to work in China - mainly Chinese researchers educated or employed overseas, and particularly in hi-tech areas. But as the trade war between the US and China rages, with technology a main battlefront, the programme and others like it have drawn scrutiny from security agencies. That has prompted Beijing to play down the scheme described as an effort "to facilitate the legal and illicit transfer of US technology, intellectual property and know-how" to China by the National Intelligence Council, a branch of the Pentagon. For recipients like Liu, what was once a prestigious award is now highly sensitive. "Around mid-September, I was asked to delete anything related to the Thousand Talents Plan from my homepage," he said. As well as scrubbing any mention of the award from their online profiles, recipients' names have been removed from the official TTP site. Online Chinese news reports on the plan have also disappeared. In the past decade, the TTP has brought more than 7,000 top-level scientists and researchers to China - most of them from the United States - as well as hundreds of foreigners. Awarded by the State Council, China's cabinet, it is worth up to 1 million yuan (S$198,000), along with access to research funding of up to 5 million yuan and benefits including housing, schooling and health care. Many of the TTP researchers maintain their overseas affiliations while working part-time in China. The United States has seen the biggest loss of talent as a result of the plan, according to a report by the Netherlands Enterprise Agency, part of its economic affairs ministry. "We estimate that almost 4,000 highly talented researchers, entrepreneurs and professionals of Chinese origin have left the country through this policy. And we have to keep in mind that next to the 1,000 Talents Policy, there are also many other policies targeting overseas Chinese," the report said. Programmes like the TTP have also been linked to the theft of scientific research and fuelled concerns over potential espionage threats from China. On December 12, senior FBI official Bill Priestap told US lawmakers that China "is the most severe counter-intelligence threat facing our country today". "The Chinese government is attempting to acquire or steal, not only the plans and intentions of the United States government, but also the ideas and innovations of the very people that make our economy so incredibly successful," said Priestap, the bureau's assistant director of counter-intelligence. "China's talent recruitment plans, such as the Thousand Talents Programme, offer competitive salaries, state-of-the-art research facilities, and honorific titles, luring both Chinese overseas talent and foreign experts alike to bring their knowledge and experience to China, even if that means stealing proprietary information or violating export controls to do so," he said. His remarks came after the National Institutes of Health in early December said it found a number of cases of scientists committing "serious violations" of its policies by not disclosing grants, laboratories or funded faculty positions in foreign countries. Those violations also included information-sharing during the peer review process, which the NIH internal investigation report said had occurred under undue foreign influence. Meanwhile, Chinese researchers have had US visa applications rejected and there is closer scrutiny of those studying and working in American universities - especially if they are part of talent schemes like the TTP. In early September, Texas Tech University cancelled an offer to host a visiting scholar from a Chinese college after the person applied to the TTP, according to a widely publicised letter from Joseph Heppert, the American university's vice-president for research. Another Chinese TTP recipient was investigated by the FBI in April while doing postdoctoral research at a non-profit biomedical science centre in La Jolla, California, the South China Morning Post has learned. The FBI's San Diego division would not confirm or deny the investigation, but a source with knowledge of the matter said the researcher was suspected of working for and transferring knowledge to a Chinese university. David Zweig, director of the Centre on China's Transnational Relations at the University of Science and Technology in Hong Kong, said the US accusations against China were geopolitically motivated. "The talent programmes are run by the Communist Party, that's why they are under fire in the US," Zweig said, adding that Chinese did not have to be part of the TPP to be spies. According to a survey conducted by Business Roundtable, an association of executives from top US corporations, Germany leads the world in attracting overseas talent, followed by Australia and Singapore. But their talent schemes have not been targeted by the United States, which ranks ninth on that list. 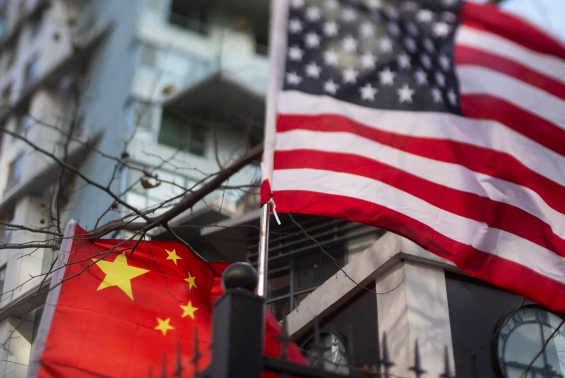 Sun Yun, director of the China programme at US think tank the Stimson Centre, said Chinese academics were being regarded with suspicion because Beijing had specifically designed programmes to lure them back to China and contribute their knowledge. "Some of those programmes are very high-profile and thus it is very easy for these cases to catch the attention of the investigators. I have not seen similar programmes from the Japanese or Korean governments to attract their scholars back to serve their countries," Sun said. But Wang Huiyao, founder and president of Beijing think tank the Centre for China and Globalisation, said China's talent programmes were no different from those in other countries. "China is doing nothing wrong with its talent programmes, and I see the US actions to step up checks on Chinese academics as unnecessary and unreasonable," Wang said. American Charles David, an assistant professor at Tsinghua University's School of Medicine in Beijing and a TTP recipient last year, said he hoped there would be no barriers to his eventual return to the US, such as barring the plan's researchers from funding. "[Although] I would be surprised if my field is one of concern to the US government," he said. "I think most scientists don't care where the work is done or who it is done by." David said there was nothing like the TTP in the US. "[A difference with] Chinese funding mechanisms is that the applicant's background and accomplishments are weighed much more heavily than the specific research plan," he said. "This is less true in the US … The TTP is a one-off combination of research and personal funds, with no equivalent in the US."